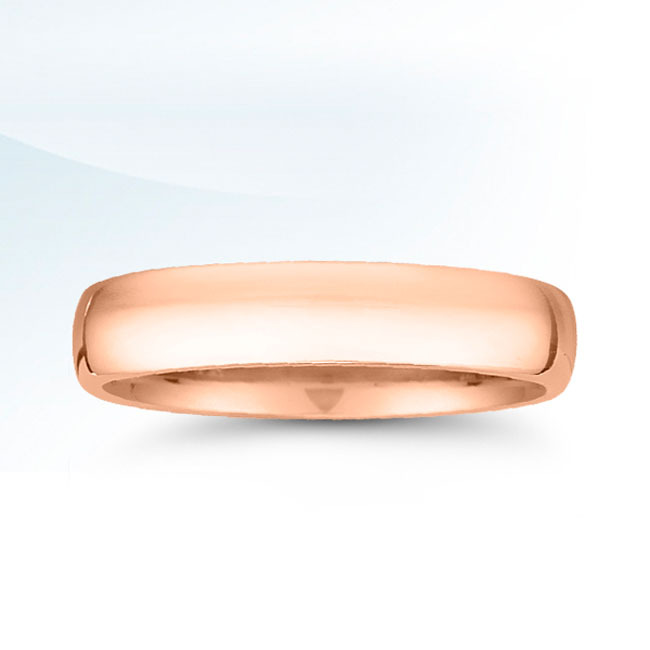 Ladies high domed wedding band style V1-4-FP is pictured in 4mm. It’s also available in full, medium or light weights. Novell bridal jewelry is handcrafted in New Jersey. Typical orders take ten working days.